One of the basic services provided by depository is transfer of securities from one account to another at the instruction of the account holder. Trading and settlement of shares are very easy and expeditiously carried out in the depository environment. 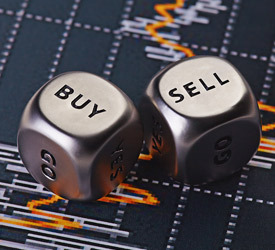 There are following 2 broad categories in transfer instruction of sale of shares. An instruction for transfer of security from beneficiary account (investor accounts) to a clearing member account (broker account) is termed as market trade. CMBP ID: It is an 8 digit figure beginning with IN. The CMBP ID is very crucial for trades in market settlement. The CMBPID is acquired from the concerned Broker and the information of CMBP ID is not available from the branch. CM NAME: This field is to be filled with the name of the broker whose CMBP ID has been mentioned. MARKET TYPE: This is the market type on which the trade is done. The STOCK EXCHANGE has separate segments for each market type. For e.g. Normal, Rolling Market Lot, Trade for Trade etc. The client should confirm this with broker and the information for this is not available at the branches. SETTLEMENT NUMBER: This is the settlement number in which the trade has been done. This number should be confirmed with the broker. For every settlement number there is deadline given by the stock Exchange. The client should submit the delivery one day prior to the pay in deadline, upto 4 p.m. to any of the nearest Saraswat Bank branch. DP Name: In this field, the name of the DP whose DP Id is mentioned above has to be filled. Client ID: This is the client ID of the client to whom the shares from the client ID of Saraswat Bank account are to be transferred. The following fields remain the same for both market and off market trade. ISIN: This is the 12 digit character code beginning with IN. It is a unique code given to the every shares. You should confirm the same from the transaction statement / holding statement available. Security Name: This is the name of the security to be transferred. Quantity: This is the number of shares which are transferred / sold. This is to be written in words as well as figures. Execution date: This is the date on which the shares are transferred from the account. In case of market trades this is a very crucial date and the execution date has to be necessarily before the pay-in date of the Stock Exchange. Signature: The slip must be signed by all the account holders as per the specimen signature registered with Saraswat Bank at the time of demat account opening. At the time of opening a demat account with Saraswat Bank the client has given a Standing Instruction to receive purchases automatically in his account. This 'Standing Instruction for Credit' is given in the account opening form itself. Thus due to this facility, a separate receipt instruction need not be submitted by the client for purchase of shares. To receive the credits directly your account, you must inform your broker your demat account number and the DP ID with Saraswat Bank, which is IN300829. However, the date of credit of these shares will depend on the broker and the DP has no role to play in the same. You are provided with a Personalised Delivery Instruction Book within a week's time of opening the demat account. The slips from this booklet should be used for transfer of shares. In case you are nearing exhaustion of the slips in the booklet, you can request for a new booklet by submitting to the nearest branch the requisition slip in the booklet. The requisition has to be signed by all the holders. The request will be couriered to your residence directly in 7-8 days.